The world’s largest software company is renaming its Hotmail service Outlook, giving it a sharp new look, social network links, and new features.Outlook.com is the free, modern email service from Microsoft. More than just email, Outlook.com brings services like Office Web Apps and SkyDrive into your inbox, and helps keep you in control of your private data.The New Hotmail looks fantastic, and depending on how you managed to stomach Gmail’s last facelift (or not), it might be the handsome. The new-look Windows Live Hotmail will let you edit Office documents within your browser, even if the PC you are using doesn’t have Office installed.Hotmail is being phased out for Outlook.com. The new e-mail web client has Skype integration, is lighter, faster, nicer and cleaner. But Many Hotmail users have been reporting problems with accessing and sending emails since Microsoft revamped the service. This entry was posted in Email, google, Hotmail, search engine, Socaial, socal networking, social, technology and tagged Email, Hotmail service Outlook, Hotmail.com is now Outlook.com. Wonderful issues altogether, you just received a emblem new reader. What would you suggest in regards to your publish that you just made a few days in the past? Any sure? Good day, Wonderful site, where did you occur up of the data in this summation? Im glad I observed it though, I’ll be checking back soon to see what other articles you have. 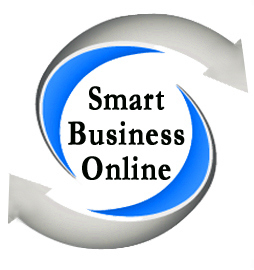 You can write for Smart Business Online if you wish, you can just mail(info@smartbusinessonline.in) me any information regarding kandati khore or information you want to share with kandati khore.